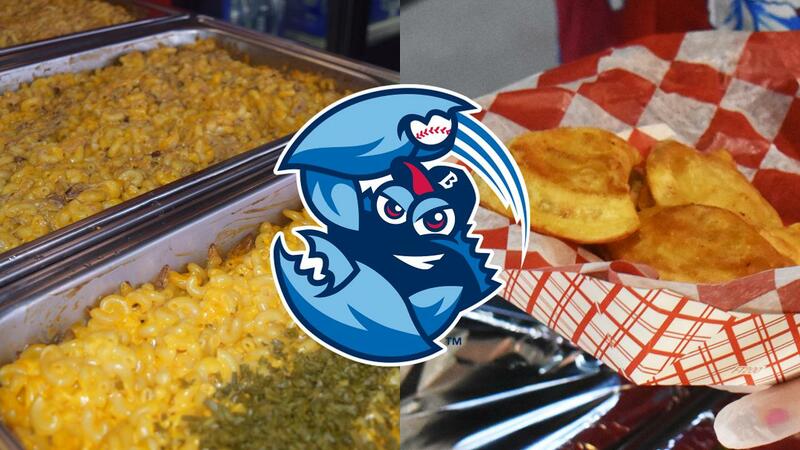 The BlueClaws have unveiled some new food offerings that will be available for fans this summer. LAKEWOOD, NJ - With the April 4th BlueClaws Opening Night just a few days away, the BlueClaws have unveiled several new food options that will be available for fans this coming summer at FirstEnergy Park. The Mac Shack, located on the third base concourse, will feature class mac-and-cheese as well as multiple other mac-and-cheese offerings with toppings. Specials will be offered on various theme nights. The Dugout Bar on the third base concourse has been re-made into 732 Brew, which will feature beer from local breweries like Ship Bottom Brewery, Asbury Park Brewery, and Pinelands Brewery. On the first base concourse, enjoy Pop Fly Pierogies with plain or BBQ pulled pork pierogies. The BlueClaws Biergarten, located down the left field line, will now house the Dog Hut, to be open at all games and featuring specialty hot dogs with featured dogs on select theme nights. Shore Town Soft Serve Ice Cream & Sweet Shoppe, located down the right field line next to Charlie's Pizza and the BlueClaws Mini Golf Course, will have edible cookie dough, brownies, and other cookies all available individually or as an addition to a Fan Favorite Sundae. Fiesta Friday will be celebrated at each Friday night home game in the BlueClaws Biergarten! Specialty tacos will be available including a choice of beef, chicken, or fish plus toppings. The BlueClaws Fiesta Bowl will include rice, a choice of chicken or beef, and all toppings as well. Finally, Fiesta Friday will include $6 Margaritas at the Biergarten Bar as well as specials on Corona, Modello, and Pacifico. Fans can still enjoy $1 Coors & Coors Light drafts at all Thursday home games in the Biergarten as part of Thirsty Thursday, presented by 95.9 WRAT. Opening Night, the 19th in BlueClaws history, is presented by Jenkinson's Boardwalk and Thursday, April 4th at 6:35 pm. The gates will open at 5:30 pm. Tickets for all 2019 BlueClaws home games are available by calling 732-901-7000 option 2 or online at BlueClaws.com/Tickets.